Lettuce Lake Travel Resort is located right on the Peace River Estuarine System. This makes for a great location to go boating for both fishing and recreational sports! Check out our Events page to see what's happening inside the park. Whether it's a pot luck dinner or Las Vegas night, there is something for everyone! We're here to make your stay with us as memorable as possible. We welcome our guests, long term or short, with open arms! Being that Lettuce Lake is right on the Peace River, it makes it easy to enjoy a nice evening by the water and the fire! Come on down to the fire pit to mingle with the locals. We are proud to announce the addition of Pickleball to our ever-increasing list of leisure activities. Court is completed and just waiting for the 2018-2019 season. Click here for more information on Pickleball. 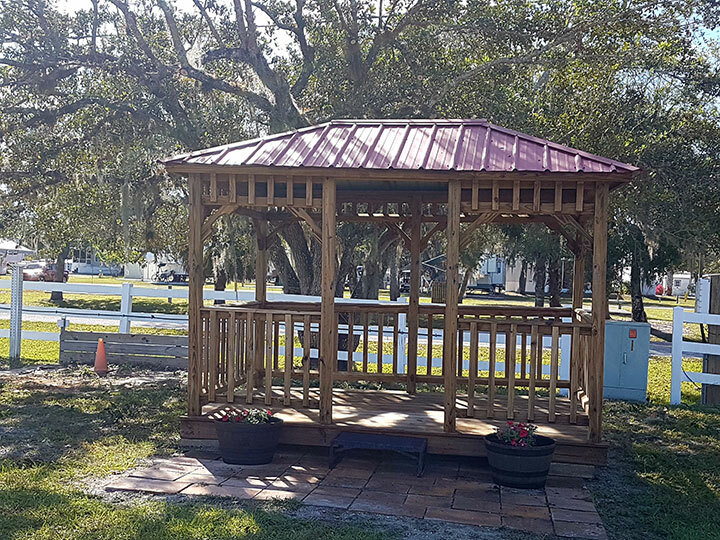 Lettuce Lake Travel Resort is located near Port Charlotte and is close to historic Arcadia. 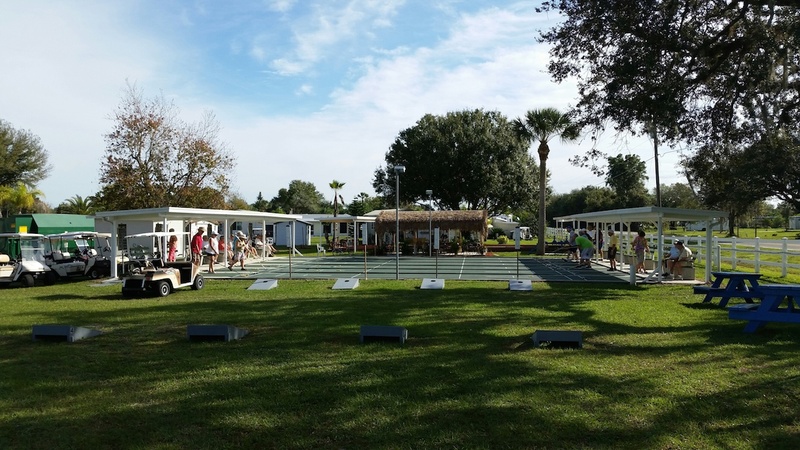 We have 257 full hook-up sites that can accommodate RVs up to 45 ft. Our amenities include laundry facilities, heated pool, Rec Center, Tiki Hut, river-front shelter, shuffleboard, pickleball, bean bag toss, bocci ball, horseshoes, fenced-in dog park, free internet, ice, and propane. During season, we offer exercise classes, line dancing, wood carving, and quilting as well as many other activities. 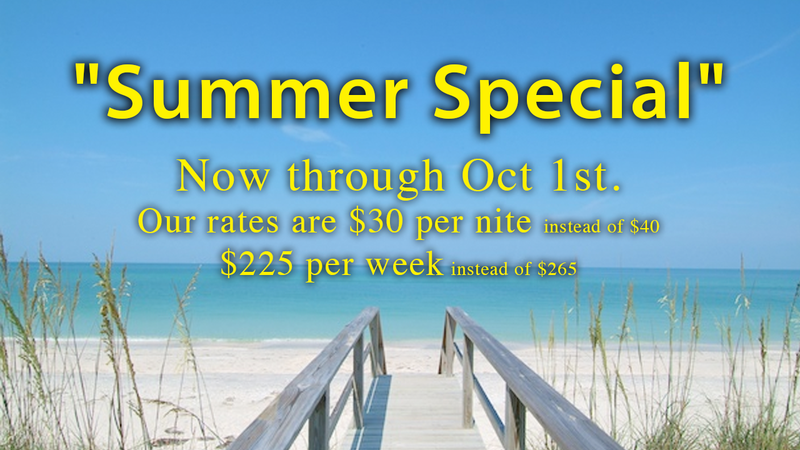 We have daily, weekly, and monthly rates available. Lettuce Lake is located on the Peace River where we have docks and boat slips, as well as a bonfire pit for our residents. Dogs are welcome (30 lb and under). 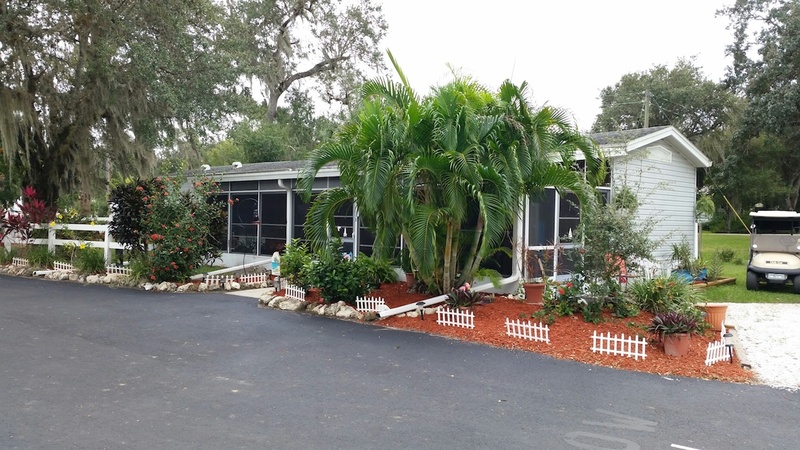 There are several golf courses nearby, and plenty of shopping areas for you and your family. Please come and enjoy the Florida life with us, down by the river. There's something here for everyone!